Mapping business processes: What level should I map to? 1. Who is your audience? And, what do they want to see? 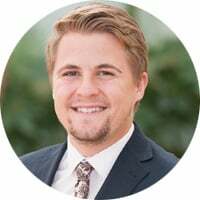 Process mapping takes up precious time, resource and money, and you want to ensure that what you are creating is relevant for the audience that you are creating it for. If you do not bear this in mind, your process maps will not be utilised. The level of detail that you want to include in your process maps will depend on the audience you are writing for. If you are creating content for a general ‘how to…’ process library, you want to be creating maps at the level just above work instruction. To do this, ensure you are not including button pushing tasks on the maps. Your end user will likely be looking for a path from start to end with sequential steps outlined telling them ‘what to do’ rather than ‘how to do it’. For example, at this level, an activity could read ‘Update sales system with order details’. Clear and concise. You can then attach the relevant procedure or work instruction to this activity to provide the ‘how to’ detail. Keep it simple and make sure your activities aren’t too wordy, the detail can be kept elsewhere (procedures and work instructions), your process map should be as simple as possible to read and understand. If you are creating content for an improvement or business analysis library, you may want to map at a lower level of detail than you would for a general ‘how to…’ process library. So, rather than your activity reading ‘Update sales system with order details’ you could drill down in to the detail and outline each of the specific tasks that would be necessary to complete this activity: ‘Open sales system’, ‘Input order number’, ‘Attach purchase order’. In doing this, you are then able to attribute metadata to each individual task (timings, costs). Always have your intended audience in mind when creating process maps, this will ensure you are delivering what is expected, and that the content is Useful, Usable and Used. 2. Top down or bottom up? If you are mapping top down, your life will become progressively harder and harder as you drill in to more detail time and time again. Whereas, if you start at the bottom level work instruction maps, you get the heavy lifting done straight away, and your life will be getting progressively easier as you roll these maps up into higher level maps. Ensure that your map titles start with a verb and the titles of each of your activities starts with a verb. 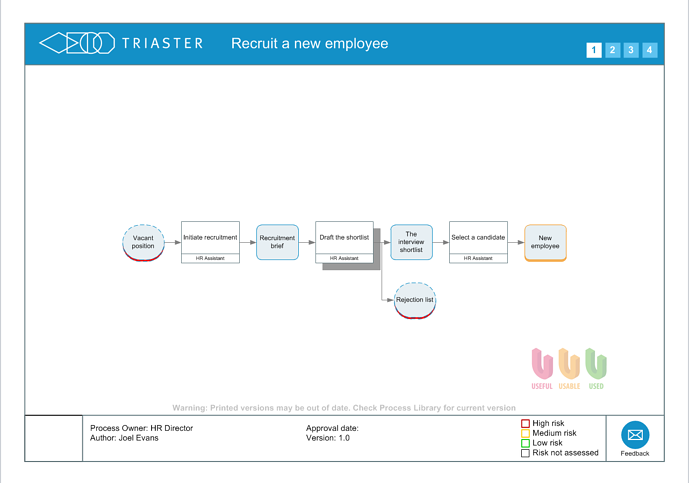 This makes the ‘rolling up’ of these process maps in to higher level process maps much easier, as the map titles of the lower level maps become the activity names for the next level up. 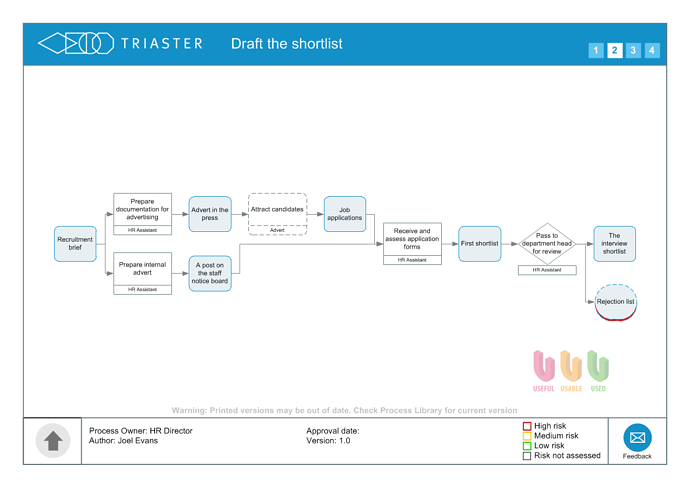 Deliverables are crucial when mapping using Triaster’s preferred Noun/Verb methodology, and are a quick and simple way of explicitly detailing the inputs and outputs for each activity. We believe that activities throughout a process do nothing but attract costs to the organisation. The value is in what is being created or produced, which are the Deliverables. A good way of assessing whether you are mapping at too low a level, is to try to outline the deliverables (outputs) from each activity; so when each activity is complete, what has been produced? If you are struggling to outline this, it would indicate that you are mapping at a lower level of detail than is required. but at some point you need to say enough is enough! What is the Noun-Verb methodology of process mapping?